This is part four of a blog series on cutting the cable in Canada. Netflix launched in Canada with a great deal of attention by the media, and with good reason. Netflix has led a change in viewing behaviour south of the border that saw Blockbuster Video stock drop by 96% over the last few years. Netflix US is primarily a DVD-by-mail service with access to all of the same movies as your local video store. Netflix did not bring this service to Canada (but a similar service is offered by Zip.ca). Netflix US offers a large catalogue of older movies and TV series to its customers as on-demand video to supplement their mail service. Due to licensing restrictions, the online catalogue offered by Netflix Canada is not the same catalogue as is offered in the US. One of the keys to success for the Netflix streaming service is ease of use. Netflix works pretty much everywhere through your iPad, your Xbox or Playstation, internet-connected TVs, and several other devices. Once you connect to the service, you’ll also notice right away that they’ve done an excellent job of making content easy to find through a simple interface and excellent personalized recommendations. 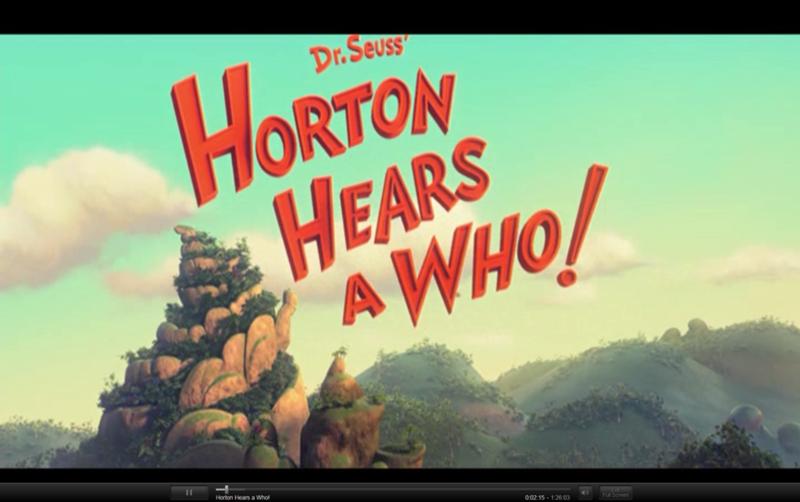 Video quality varies, but many titles are available in high definition (note that the HD video quality is good, but not really comparable to BluRay HD quality). As you can probably tell, I’m impressed by the service itself which benefits from several years of innovation and improvement in the US market. However, I’m less impressed by the content available in the Canadian catalogue. After rating all of the movies that I’ve already seen, Netflix Canada struggles to recommend any movies to me that are actually interesting to me. Let’s see how Netflix Canada stacks up for the purposes of this exercise. As a reminder, I’m looking to replace my family’s current viewing patterns which are made up of current-season broadcast television shows as well as new-release Hollywood movies. The bottom line is that Netflix Canada isn’t really intended for this purpose. It was intended as a top-up service for people who watch a lot of TV and movies on DVD. I know that for many people, having access to slightly stale library of still high quality content is good enough for their entertainment needs. If that describes you, then Netflix Canada may be a good option. But for my family’s needs, Netflix is not a viable alternative. Note: A commenter in one of the previous posts convinced me that BitTorrent doesn’t really deliver on the “when I want” definition so I’ve changed that from a star to an angry-face. What are you using for Netflix? Web? Xbox? 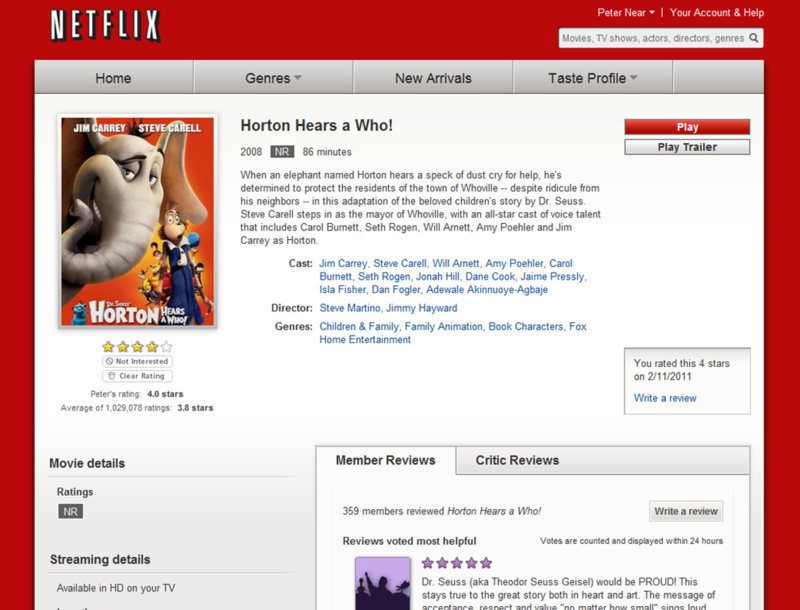 We recently signed up for our free month from Netflix on the 360 and so far, I’m disappointed in the amount of content. Most of the movies and shows I would be interested in are ones I’ve already seen or own. The streaming also seems to adjust itself fairly often even though my connection is wired and stable. I’ve also found that there is more content available on the web that is not the available on the 360. I also tried the Netflix app on my iPhone, which seems relatively useless. I am eagerly awaiting the new Netflix channel on my Sony Blu-ray player though. It’s much quieter and I don’t have to sign in to Live to use it. I’m hoping there will be more content on there as well. I would agree with your conclusion that netflix isn’t much of a viable alternative to cable though. 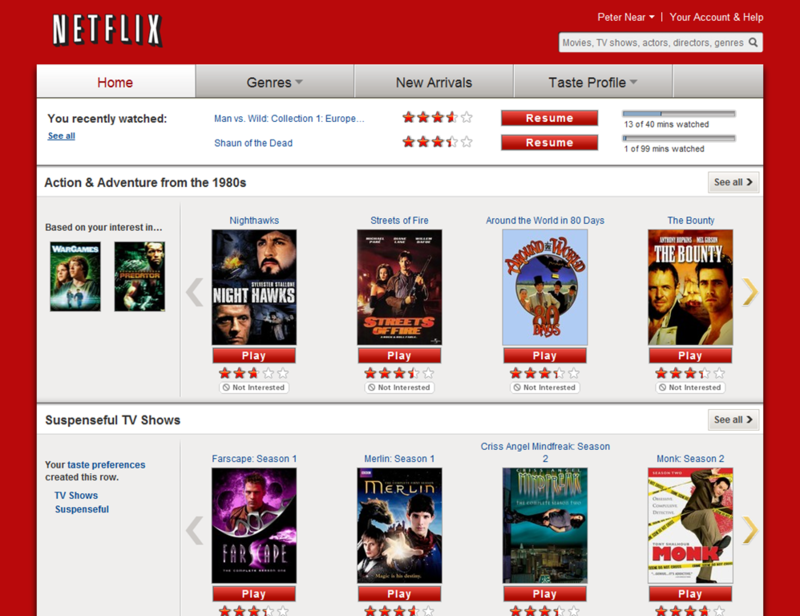 I have used the web interface for Netflix. I’m annoyed that in addition to the $7.99 a month to Netflix, Microsoft requires that you pay them $10 a month to be an XBox Live Gold member just to use the app on the XBox. Oh? You can’t use Netflix with a silver membership?